Located in the North Pacific Ocean, just above the equator, Hawaii is group of 8 main islands (of which only 6 are inhabited). One of the 50 states of the United States of America, the islands were created by volcanic eruptions caused by a Pacific Plate movement 70 million years ago. Situated 9,130km (5,673 miles) northeast of Australia, Hawaii is the USA’s southernmost state and is one of the world’s most isolated archipelagos. The topography of the islands vary between the northwest and the southeast. Kaua'i offers lush rainforests and the Na Pali Coast’s time-worn sea cliffs while the Big Island features the gushing Kilauea Volcano and rugged landscapes born of lava. Hawaii features a diverse range of micro climates and elevations, allowing you to experience a wide variety of environments depending on where you visit. 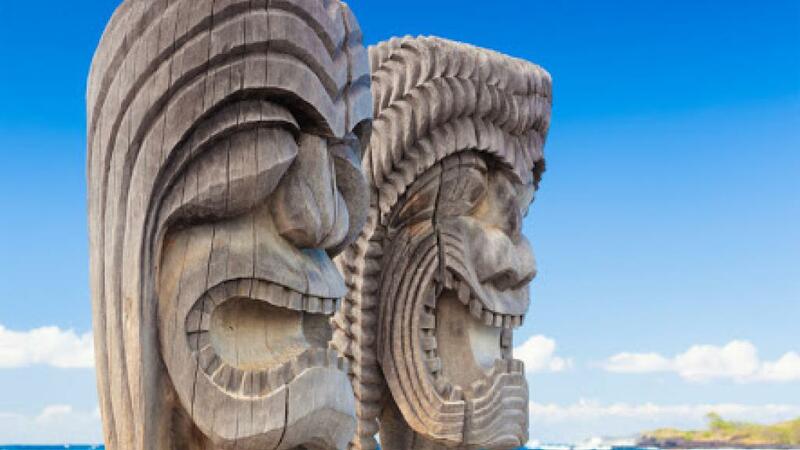 The history of Hawaii is a significant one that dates back as far as 1,500 years. The Marquesas Islands Polynesians first inhabited the archipelagos after travelling more than 3,200 km in canoes guided by the stars to arrive on the Big Island. 500 years later Tahitian settlers arrived with their customs, beliefs and social hierarchies and Hawaiian culture began to flourish. This is when the icons of surfing and hula were born. Conflicts over land divisions between ruling chiefs were common and when Captain James Cook landed in 1778 at Waimea Bay on Kauai (opening the islands to the west). he was killed one year later, on the Big Island in Kealakekua Bay. In 1791 Kamehameha began work to unify the islands and by 1810 the Hawaiian Islands were considered one royal kingdom. Despite this, his son abolished the social hierarchies 9 years after the death of his father. In 1820 Protestant missionaries began arriving on the Big Island and Hawaii became a port for whalers, traders and seamen. Whaling continued to flourish and during these growth years, diseases brought to the islands by their western visitors began to impact the native population. Western influences continued to permeate the islands and in 1893, American colonists (who were controlling much of the islands’ economy) overthrew the kingdom in a peaceful but controversial coup. In 1900, the United States claimed Hawaii as a territory. By the 20th century, pineapple and sugar plantations were the driving force behind the Hawaiian economy, attracting immigrants from Portugal, the Philippines, China and Japan. It’s this mix of ethnicities that makes Hawaii’s diverse population and influences still so popular today. On December 7 1941, a surprise attack was launched on Oahu’s Pearl Harbour by the Japanese, launching the United States of America into WWII. Four years later, Japan unconditionally surrendered to USS Battleship Missouri and in 1959, Hawaii officially became the 50th state of America.